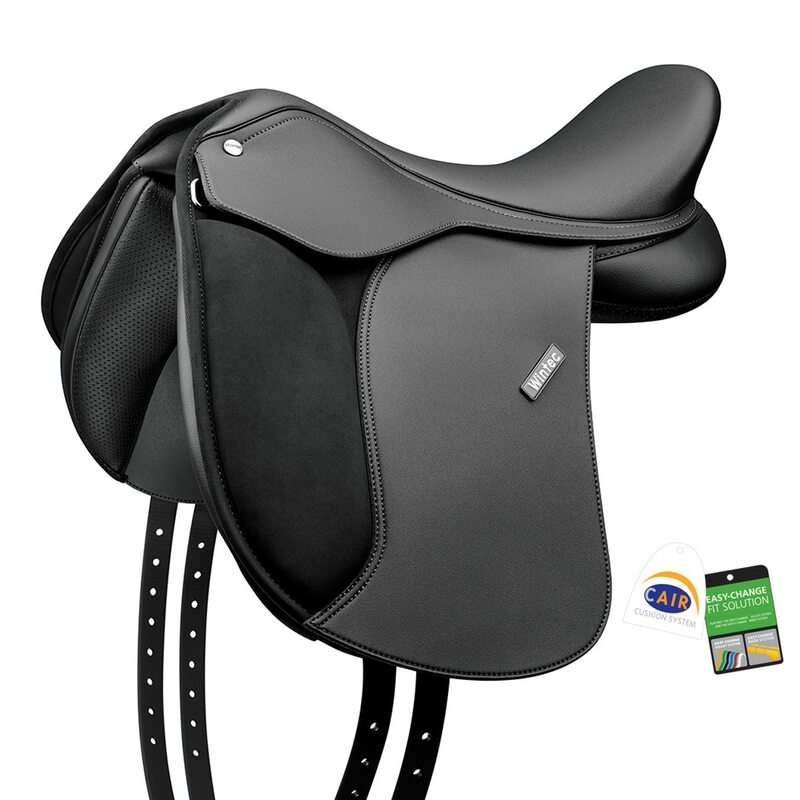 The Wintec 500 Pony Dressage saddle w/CAIR is anatomically designed for the young dressage rider and pony. A modern, stylish Pony dressage saddle with an extremely comfortable seat facilitates a well-balanced position. Performance materials ensure superior fit, comfort and stability. Wintec Saddles featuring world-leading performance systems, the CAIR Cushion System and the EASY-CHANGE Fit Solution offer the ultimate in ease of fitting and comfort. These revolutionary systems work together to provide a custom fit and a fluid cushioning to hug your pony's individual conformation for even weight distribution over the entire length of the panel.